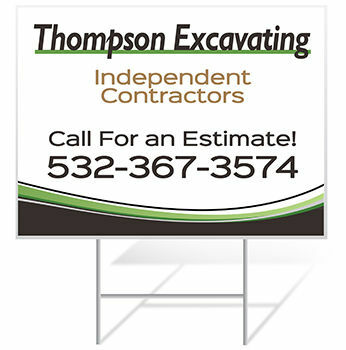 Design and Order Custom Yard Signs for your Contractor Business Online at Banners.com! If you do contract work, make sure people know who to call by using custom yard signs! You can display your company name and contact information on the yard sign and display it in front of places that you've done work.Our yard signs are printed in full color and can be single or double-sided. We have several sizes of yard signs to choose from.